This is a walkthrough for the English translation of the “9-nine-:Episode 1” visual novel, available over at Denpasoft or Steam. It was originally developed by Japanese company Palette and subsequently released through Sekai Project. 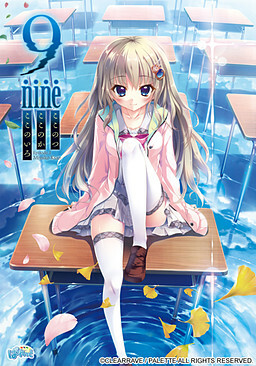 Its full original title is 9 -Nine- Kokonotsu Kokonoka Kokonoiro. This guide is simply a translation of the original Japanese walkthrough by Seiya-Saiga. So all credit to them. There’s only 1 main heroine route in 9-nine- Episode 1. You won’t need any save slots, but you’ll unlock all CGs in the process. If you want to upgrade from the Steam edition to the adult edition, you can download the free patch over at Denpasoft. In your first playthrough you don’t get any choice and just end up at the bad end. I should just mind my business. Do you need me to walk you home? I should back her up. Okay, we’ll meet at the gate.